For ID Clamping Tubes and Pipes Bevelers - Optional flange facing attachment from the US25 to the US450 model. 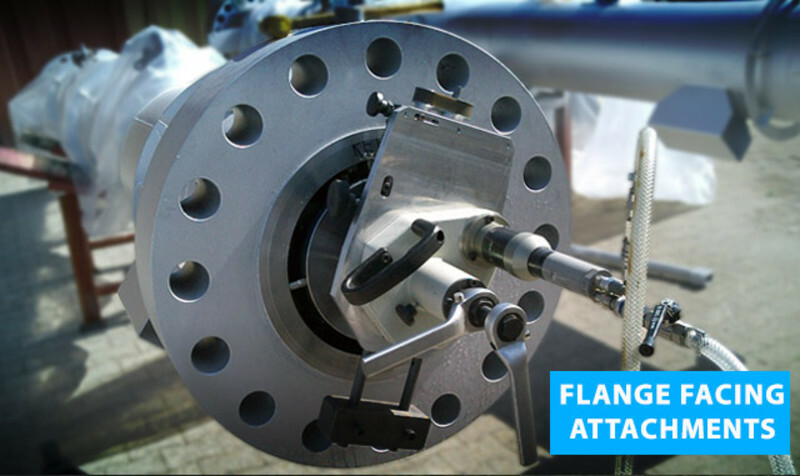 This flange attachment allows to resurface all the different flanges welded on pipes, of all materials, directly on site or in the workshop. This system is reliable, accurate, rigid, lightweighted and very easy to use and operate.